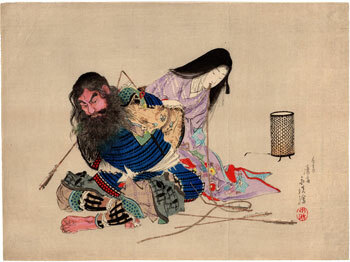 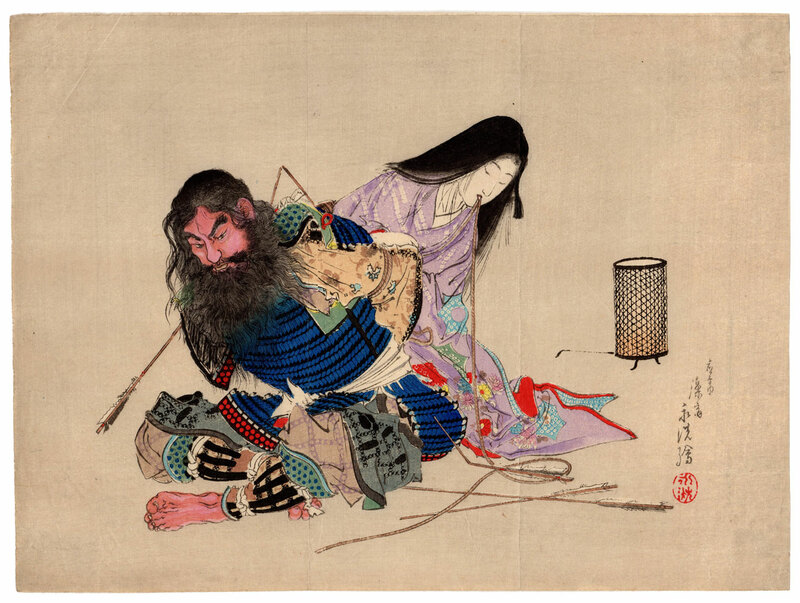 Polychrome woodblock print of the kuchi-e (口絵) type made in 1896 by the artist Tomioka Eisen (富岡永洗) as an illustration of the famous novel "The Bearded Samurai" (ひげ男) by the writer Koda Rohan (幸田露伴). 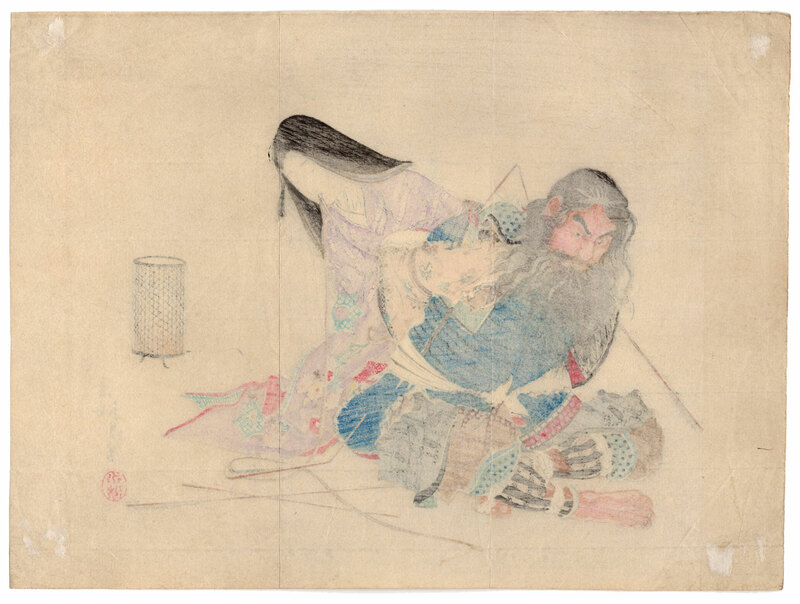 The novel, whose plot takes place in the setting of the Battle of Nagashino (長篠の戦い) in 1575, consists of the memories of the samurai that we see depicted in the print presented here and that, during his captivity and while waiting for the capital execution, tells his story. The print on Japanese washi paper (和紙), published by Hakubunkan (博文館), despite the right signs of the time is in good condition.